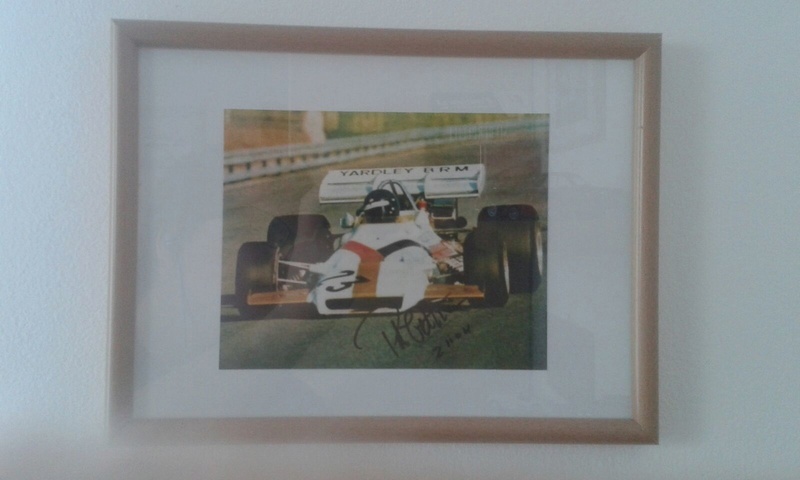 Kicking this one off with something I had on my mind for a while now, a topic for all members' collections of various motorsport memorabilia. Of course I have one of my own and with my new load of cars that came in today I remembered I wanted to do this so here I am. 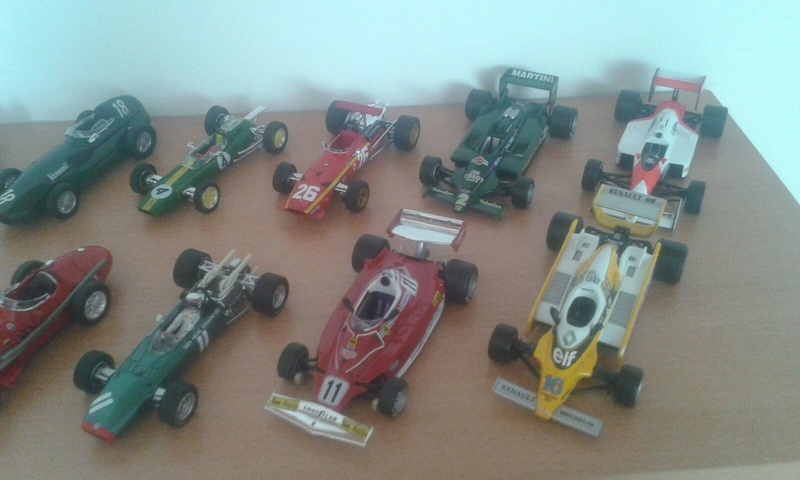 My current collection consits of 38 cars scale 1:43 and 2 scale 1:18 as well as 4 autographs of F1 drivers. 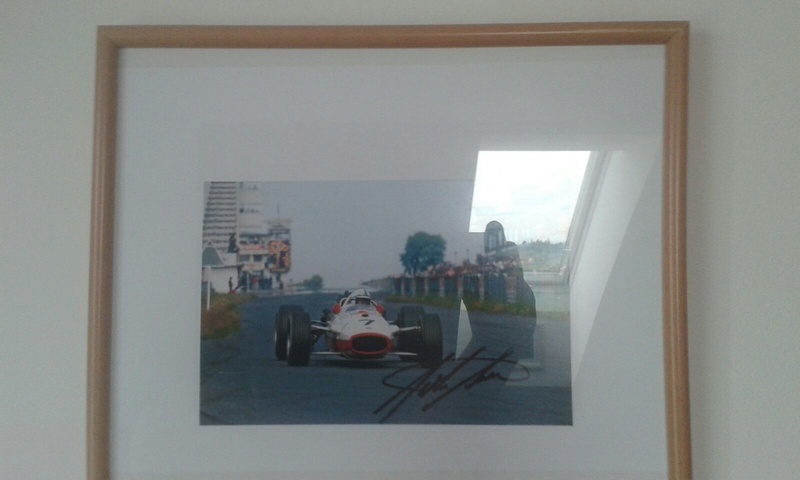 The first two are of 3x F1 drivers' champion Sir Jackie Stewart ,next one is of 1x F1 GP winner Peter Gethin as well as one of the late Sir John Surtees. 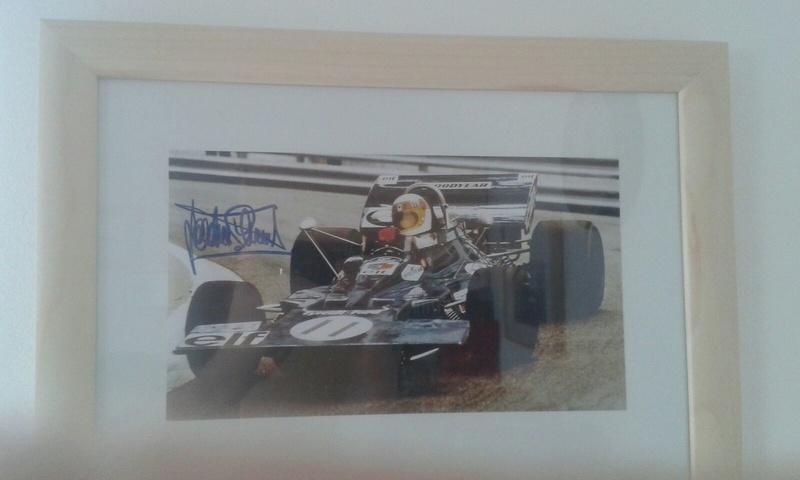 All of these autographs sholud be genuine, though I can only be certain for the first one as I got it signed via a personal request per mail. Alright, with that the main part of my collection is done, I do own a Alpine A110 and a Lancia Fulvia HF in 1:18 scale but can't take pictures of them any more as it has now become so dark outside that taking pictures with my phone is impossible . Peek a boo Teddy, I see your reflection in the paintings ! 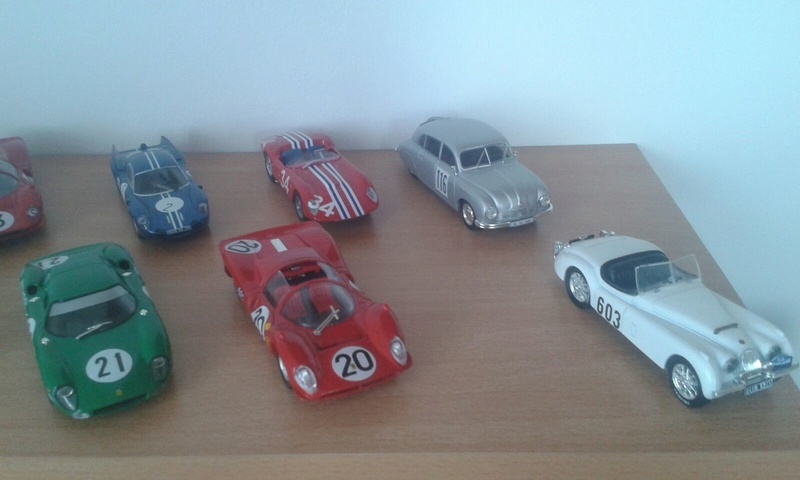 your collection is similar to mine, I have about 200 cars and god knows how many planes, I cant display all in the shelving space I have so I have to pack them away. I have a lot of hotwheels, and many 1:24 cars built from kits when kits were cheap; now its all 1:43 ,space saving and you get all the odd ball cars/subjects. 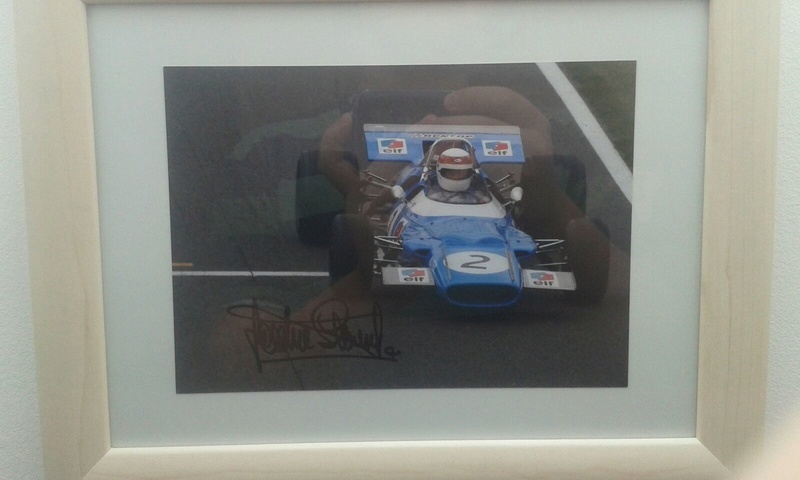 I now get my models from an italian site called carmodel.com they even sell second hand stuff. 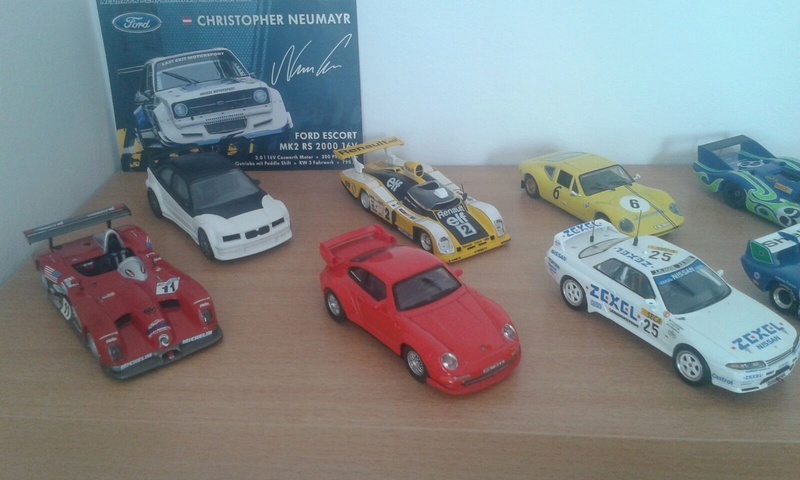 I personally get them either from ebay auctions(most of my brumm models I got that way) or from a german site called ck-modelcars.de, though I've considered ordering from carmodel as well. 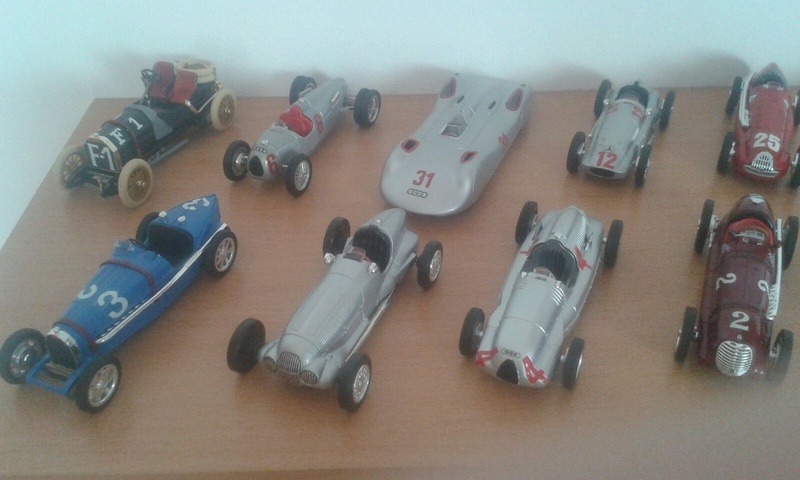 Some models I bought at a modelling convention in Vienna, for example the Streamliner I got for only 30€, without the seller noticing he sold it to me for almost half to the official price. found it looking at or rather ogling at CMCs lago talbot 150 racer/coupe ! How cheap are we talking? 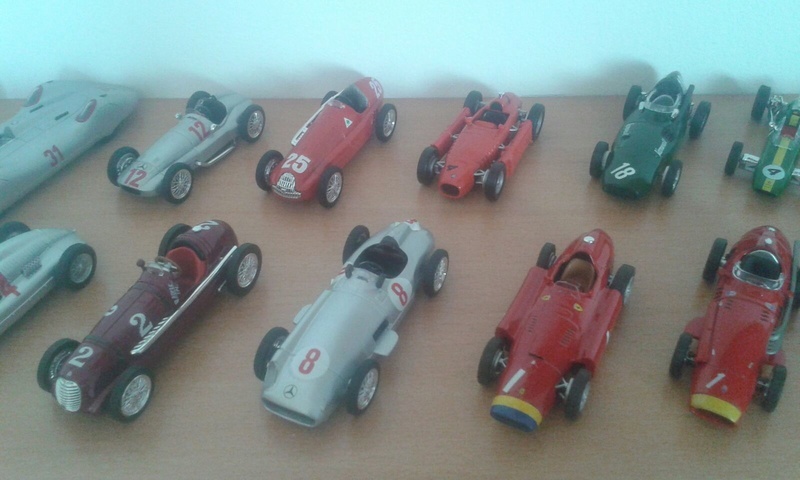 Minichamps has prduced a limited run of them, you might want to look on ebay, they sell them quote cheap sometimes, almost won a BBR Ferrari 250P for 12€, the bit wasn't submitted early enough and it went..